8/21: NOS Events Center, Los Angeles, Calif.
8/22: Shoreline Amphitheatre, Mountain View, Calif.
8/28: Governer's Island, New York City, N.Y.
8/29: Merriweather Post Pavilion, Washington D.C.
L. Hill has tons of music fans that span across all types of people. Her reign in the industry was so pure, magnetic, educational and beautiful, that I hope she returns with the urge to fill the spot that was left void after she left the industry. 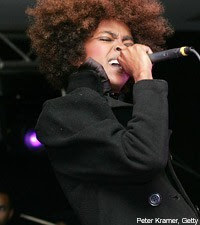 Best Wishes Miss Lauryn Hill, ROCK OUT, on the Rock The Bells Tour!! !